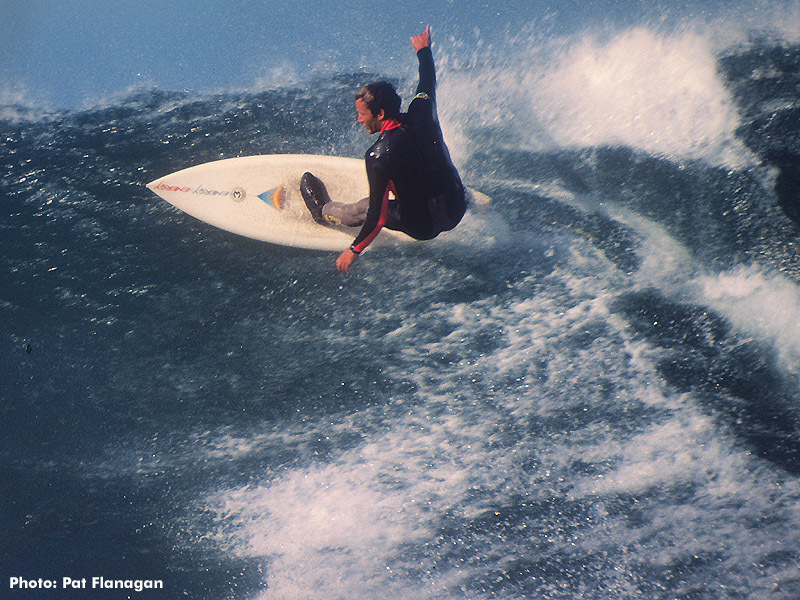 Until the 2017 J-Bay Open the 84 Country Feeling was widely given ‘Best Ever’ status. View an awesome video clip of the best event I ever attended. Wasn’t a CT or a QS, just a shootout between the best surfers in the world at one of the best breaks at its very best. Late on the Thursday, after the heats were done, Richard Cram, Michael Ho and Hans Hedeman got waves from Supers right to the beach break and had to take a 20 minute walk to get back to the Keyhole. Occy won from Hans Hedeman, but the heat of the event (one hour) on the Friday was between Occy and Tom Carroll.